It is really amazing all the things that you can use coconut oil for. I’ve been saying I’m going to get some for a while and havent. This does it! I’m going to get some tomorrow! Lol and I want to try that recipe! Can’t wait. Thanks! I do use coconut oil but didn’t know of some of these benefits and uses. Thanks for the info and recipe. Coconut oil is a staple for my hair regimen. I use it for my scalp and great for dry skin as well. Thanks for the recipe. I love coconut oil. Those cookies look so delicious. 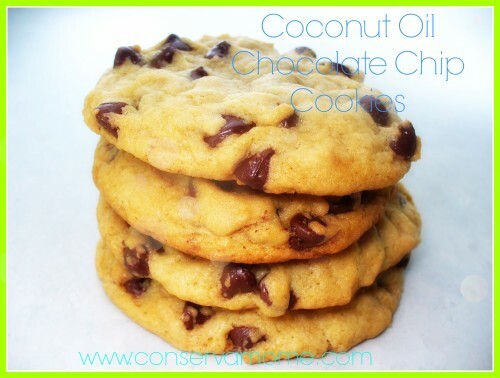 My son was just asking me to make cookies today, so I think I will go whip up a batch! Thanks for the recipe! Yum! I love coconut oil! It does have so many wonderful uses. I have been contemplating oil pulling with it. idk! I never knew it had all of these benefits. However, I have made cookies with it and they are the best cookies ever. Thank you for sharing your recipe and these facts. This is great info to know. I usually use it to sautee with and for my hair and skin. 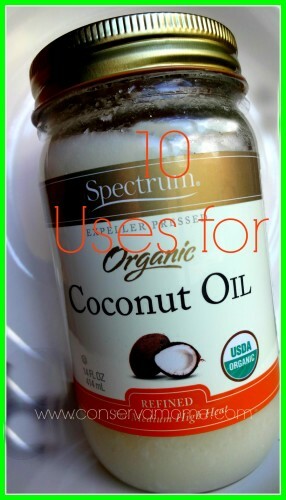 I’ve been using coconut oil for a while now, although I had not know that it was useful for improving thyroid function – something i certainly need. I really appreciate this post. Those cookies look divine. I have never cooked with it, but I would love to try. Those are all some wonderful uses I had no clue about. I once used it as a hair mask but I think I put too much, hehe! I think i like this topic about 10 uses of coconut oil ‘coz they said coconut oil is bad becoz of high saturated fats!! Neat ideas for the uses. Thanks for sharing the awesome recipe as well. So gonna try this out and keep some on hand for sure!